Don’t allow backup power generators, generator malfunctions, poor conversion rates, contamination, or anything stand in the way of your manufacturing processes. Let Advanced Filtration provide you with top-of-the-line filters including filters from Kaydon Filters for your lubricant fluids that have developed over 70 years. Request a quote on KAYDON FILTRATION Filters. In order to get the most out of your fluids, Kaydon Filtration systems increase productivity, effectiveness and return on investment. Don’t settle for a filtration system that won’t optimize all of your needs. 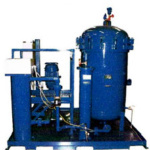 Advanced Filtration Company works closely with the manufacturers of Kaydon Filtration to get you the best deal on filters for any operating syste m that needs a purification process of fluids. Through these filtration processes, your machinery will operate at a higher production rate and the costs to fuel these engines and equipment will be lower. Power Generation/Generators– we provide power generator filters that can clean the air and lubricants that drive your turbine engines. Fuels– pure fuel is the most effective and cost-efficient and that is exactly what our recommended filters strive to achieve. Refineries– poorly grinding gears can have a seriously negative impact on your business. With Kaydon Filters, we prevent your petroleum refineries’ equipment from malfunctioning. Labor costs will decrease. Petrochemical– for explosion-proof performance, our KA-XP Turbine Oil Conditioning System and our Turbo-TOC system can prevent your petrochemical plant from allowing contaminants to create equipment failure. Pulp/Paper– paper plants need constant, undisrupted production and Kaydon filters work to keep your flow non-stop. Primary Metal– metal plants deal with high compression and intense conditions, environments where our stable filters are unaffected and productive. Hydraulic fluid costs will decrease. OEM– in order to create functioning equipment for other companies, your OEM manufacturing equipment needs to run as smooth as you hope your products to be. Kaydon filtration sorts out parts for your hard materials to run uninterrupted. Government– Kaydon Filtration has experience with powering governments around the world (vessels, planes, marine, air, etc.) and wherever you are, your high-demanding vehicles can be created and filtered by Kaydon Filtration, as prescribed by our experts. Have a unique system of equipment or processes? Our experts work with Kaydon Filtration to design and implement the most functional system for your business operations. Kaydon Filtration has the products you need and we have the knowledge to prescribe the correct technology and model to your business. Depending on your business, we have combinations of systems and filters ready to add onto your equipment. Turbine oil, EHC fluids, transformer oil, lube oil, backup power, and diesel fuel conditioning. Diesel and bio-diesel fuel conditioning during bulk storage and transfer. Explosion-proof fuel and oil conditioning. Fixed, mobile, and portable oil and fuel solutions to meet your fluid conditioning needs and form-factor requirements. The Turbo-TOC is the ultimate coalescing and oil conditioning filter that offers 7 varieties for case-to-case based products. Turbo-TOC technology is certified to guarantee long-term life for both the filter and the fluids for your systems, and to help increase the life of your equipment itself. Your turbine lubricating oil should be free of water and contaminants in order to function properly and most effectively. Our 21st century technology has grown and developed into the Turbo-TOC, Kaydon’s finest filtration system. Supporting power generators, backup generators, and more, Turbo-TOC is the filter of the future. 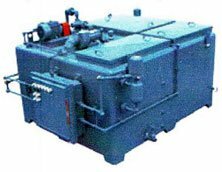 The Kaydon Turbo-Toc system is ideal for maintaining the cleanliness of your steam turbine lubricating oils. Contact us to learn more Request a quote on Kaydon Filters.